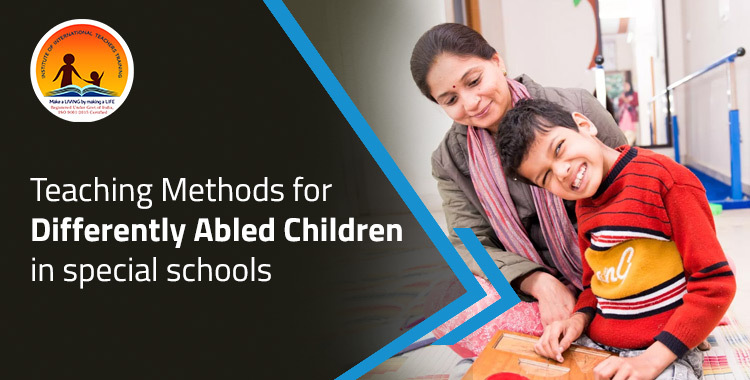 Special schools cater to many advanced teaching methods for differently abled children. The first and foremost part of this teaching method is recognizing the type of disabilities in children. After realizing the difficulties only the teacher be able to employ the specialized techniques of teaching and for this she needs to complete an international diploma in special needs education from an educational institute. These institutes provide many courses for the aspiring teachers aimed at educating special children in schools. At present training organizations like Institute of International Teachers Training offer many courses to guide differently abled children. These children face many difficulties in leading their lives but with proper guidance, they will be able to defeat them and live their lives happily. They will be able to work, learn and grow like non-disabled people. By identifying student’s needs the teachers will start educating them about advanced procedures. Just like a non-disabled child, a child with special needs has hopes and dreams to pursue a career. In all parts of the world, initiatives are being taken for these children so that they can achieve their dreams. The teaching methods thus include talking to the parents of the children frequently. By that way, teachers will be able to know the home environment of the children in which they stay. Teachers will also know the influence and impact of the community. The methods taught in this course will help the teachers to educate in real classrooms which will consist of groups of special children. Teachers will teach every special child in his class to discover the talent that lies inside. Teachers will motivate them with examples of achievement by disabled people to show them how to conquer the hindrances. This will also help them to move forward in their lives with confidence. Teachers will use distinguished study materials to teach the special children in the classrooms. Special schools throughout the world include the same topics of education. But the approaches to education are different in every institute. Therefore it is best for a candidate to join the diploma course from an institute which will provide international level courses and globally accepted certificates. Disabilities in children can be of varying degrees. Teachers will learn the characteristics of the disabilities and how they affect the children. There can be several types of physical disabilities and some are even psychological. The course will also teach the students to educate children who have mental impairments. The program will help the teachers to apply specialized techniques to accelerate the learning process. Teachers will employ the methodologies to teach the children about words, grammar, spellings and many other topics apart from reading or studying. 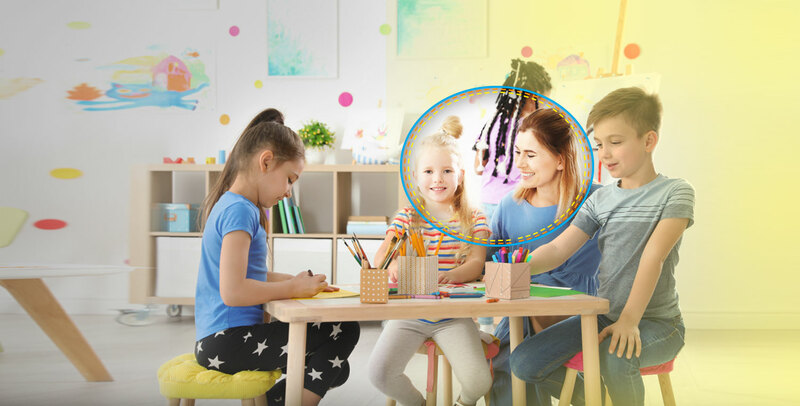 The classroom environment will such that there will be a bonding with each other and teachers will help the children to develop the bonding. Moreover, by developing a bonding with each other, teachers will be able to learn about the psychology of the students, their behavioural habits. The teachers will design many school activities to educate the children. The teachers will involve non-disabled children too so that both of them can form a good bonding. In these activities, the educators will also invite the parents of the disabled children. In a special school, the teachers will need to use the resources effectively. Candidates will learn the proper allocation of resources by taking up this course. They will talk to the children to understand what they need and in what quantity they need the materials. Hence an aspiring special education needs teacher needs to join an international diploma in special needs education course to learn the methods in details. There are many teaching methods in a special school. But, before that, the educators will need to keep the list of the resources totally updated. The teachers will discuss the allocation of the resources with the principals in a special school. The needs of the children in a school are varied and teachers will also keep a track of them. The teachers will understand the special needs of children to not only educate them but also to understand them and what they want to do in their lives. This understanding is completely based on the different studies and data that have been gathered by educationists. After the gathering of the data teachers will send the reports of the progress to the principals. The collection of these techniques can be known by joining an international diploma in special needs education course from an academic organization. Essentials of child care depend on the strategies of early childhood care. Teachers will guide the parents on the ways to educate children at home. Teachers will also guide the parents to provide special care to the disabled children so that they do not face isolation in the community. The educators in the learning process will take the help of notes to organize the behavioural patterns of children. By noting down the topics point to point the teachers can organize what he or she has experienced. At many times the educators will work together with others on special cases of disability. In the learning, process observation is highly important. With the help of the observations, one will be able to analyze the learning process for each child and how to improve them. The teachers will respond to the needs of the children at all times. There are also different types of problems that disabled children can face. The educators if necessary will modify the classroom materials. Teaching special children needs patience and resilience. Today the institutes dedicated to teachers training develop study materials with in-depth research and analysis. At present, the training institutes have formulated the above-mentioned methods of providing special care for which reason the students must pursue the international diploma in special needs education course. This course also helps the aspiring educators to get employed in good schools around the world where they can apply the specialized techniques that are taught in the course. my son is a mascular dystrophy patient .I need to teach him english alphabets,colours etc. You may initially try teaching your son using sand paper letters for teaching him the curves of the letters. You may use colour tablets for teaching him colours. As their is no single book which will help you with this. Gradually you may consult Chomsky’s book for special children.